Most people think of CSAs in the spring, when everyone’s ready to think about plants and fresh food, after a typically bitter cold and snowy winter comes to an end. But thanks to the careful management of crops and some planning and forethought on the part of farms, you can subscribe to a CSA in the winter too! I like subscribing to a winter CSA for a few reasons. Fresh food when it’s 0 degrees outside. Thanks to things like hydroponics and greenhouses, you often get fresh greens in winter CSA shares. You also get fresh food that’s been stored well – things like root vegetables and apples. Winter produce at the grocery store can be really anemic and sad looking, since it’s traveled from far away to get to us in our barren east coast landscape in February. So it’s nice to have the CSA box to count on every so often for a reminder that yes, things do grow in Pennsylvania. Variety. You’d think variety would be limited in winter, but you’re wrong. Yes, you’ll have some repeats. And you don’t get things like berries or tomatoes. But we got something new in each winter share last year (see posts tagged with winter to see what we got from Penn’s Corner’s winter share last year). This includes pasta, mushrooms, eggs and honey. Pantry stock-up. We received a lot of foods in our last winter share that helped to stock our pantry. Things like jams and jellies, sauerkraut and bread and butter jalapenos (my fav! ), plus Bloody Mary mix! Penn’s Corner calls them “value-added” products. By value-added, they mean “they go to the trouble of processing it for you”, which anyone who cans or preserves food can appreciate. Value, indeed. Farms need to get through the winter, too. CSA stands for community supported agriculture, and it’s really that simple. Buying a winter share contributes to the financial well-being of the farms by keeping income flowing during the off-months, when the farmers markets have closed. I’d imagine there’s lots of work to be done behind the scenes when the land is frozen, and subscribing in the winter can help support that. We got cheese. I mean, come on. I don’t really think there’s much more I need to say on that one. If you’re in the Pittsburgh metro/western PA area, I’ve compiled a list of the CSAs that I know offer winter options. If you know of more, please leave them in the comments and I’ll update the list! Also, we subscribe to and love Penn’s Corner’s CSA and are already paid up for our winter share, so I listed them first. And they aren’t paying or perking me to say how great they are. 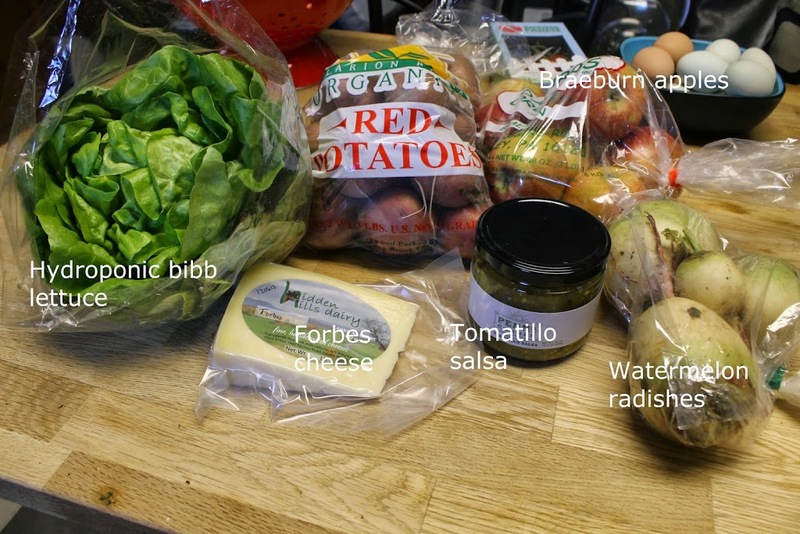 But there are many great options in this area for CSAs, and they aren’t the only one. You can see what we got in each share over the winter on this blog, but don’t be afraid to ask the farms or groups what kinds of things you can expect in your shares, so you know you can make use of what they offer. Some of them have meat options and other add-ons as well. Keep in mind that delivery locations can change in the winter, depending on how many people are signed up and whether or not the location is covered from the elements. Make sure to check that your preferred location is available in the winter. So what do you think? Are you going to subscribe to a winter CSA? If you’re reading this on the actual Next Gen House site, you might have noticed the updated banner at the top. The animal members of Next Gen House are now accurately represented, having lost our cat Maggie in December and our first chicken in March, and adding our cats Stormageddon (February) and Vader (April). The original banner and its update were created by Jessica Wysocki, a local graphic designer and artist and friend. Jess runs fox bear designs, her independent design business outside of her 40 hour a week day job. She’s incredibly talented and I personally have great respect for her as someone who spends time cultivating her own skills and talents in her free time, even while working and commuting full time. I know first-hand how hard that is. 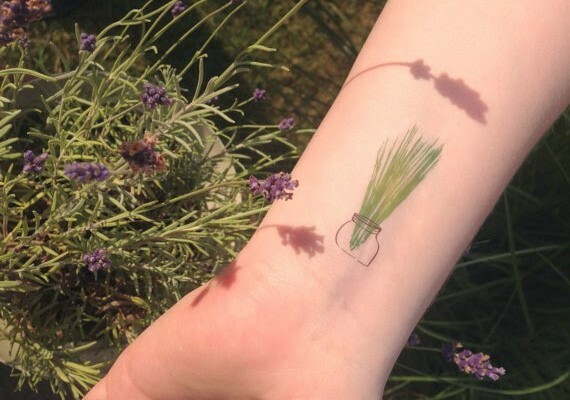 Jess has two shops that showcase her designs, at Etsy and Society 6. Her Etsy store features not just prints, but those designs on jewelry like earrings and brooches and temporary tattoos. 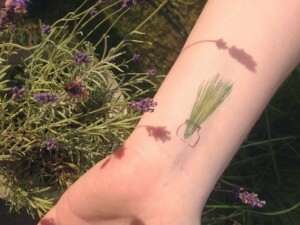 I particularly love this chives tattoo. In the Society 6 shop, you can get her designs on a million products. 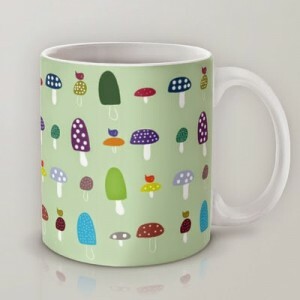 This mushroom mug is adorable. 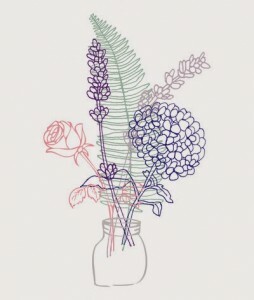 And then there’s this floral sketch, which also would make a cute tote bag or duvet cover (yes, you can order duvet covers! so cool!). Right now, her Society 6 shop is offering free worldwide shipping + $10 off duvet covers when you use this promo link. You can always access her main site by the graphic on the right sidebar of the blog, too. Thanks for giving Next Gen House a facelift, Jess!